Tax accountants and financial planners in Maine have been scrambling for days to keep up with the constant trickle of proposed changes to the federal income tax code and figure out what those changes could mean for their clients. While various provisions of the Republican tax reform effort were being furiously negotiated among members of the U.S. House of Representatives and Senate behind closed doors last week, tax professionals seeking to give counsel to Maine businesses and individuals said it was like trying to hit a fast-moving target. Still, tax experts in Maine said they were able to come up with a few key pieces of advice that are likely to prove fruitful, such as making charitable contributions and paying all state taxes owed prior to Jan. 1 to take full advantage of itemized tax deductions before the rules change in 2018. Under the negotiated tax bill released late Friday, the standard deduction would be doubled to $12,000 for individuals and $24,000 for married couples filing jointly, while personal exemptions and some popular itemized deductions would be reduced or eliminated altogether. For that reason, many Mainers who currently itemize their deductions may find it more beneficial to go with the standard deduction next year if the tax bill becomes law, the accountants said. “A bunch of people that currently itemize are no longer going to itemize under the new rules,” said Alison Royall, a director in the tax department at Oakland accounting firm Perry, Fitts, Boulette & Fitton and a member of the Maine Society of Certified Public Accountants. On the business side, the corporate tax rate would be reduced from the current 35 percent to 21 percent, which may prompt some businesses in Maine to apply for corporate status, the tax experts said, although it’s not clear whether it would be worth it in many cases. The Republican tax reform effort has drawn harsh criticism from opponents, who have said the bulk of its benefits would go to the wealthiest Americans and big corporations. They’ve also criticized the effort because it would add an estimated $1.5 trillion to the federal debt over the coming decade. But supporters say it would provide much-needed tax relief to the middle class and spur economic growth by giving businesses more cash to invest in expansion, employee raises and job creation. Different versions of the bill already have passed in the House and Senate, and Republican leaders released a final, reconciled version of the bill Friday evening. As of late Friday, the bill appeared to have adequate support to pass in both the House and Senate. The votes are expected to occur this week. Royall said the ongoing tax reform saga has created a flurry of activity for tax accountants. However, there were still unanswered questions about the bill’s final version until it was released late Friday. Royall said she and her colleagues recalculated their previous personal tax returns earlier in the week based on rules proposed in both the House and Senate, to see if they would have come out ahead or behind. She said it appeared that most Maine households – but not all – would see their taxes lowered at least slightly. Figuring out the potential impact on Maine businesses is more complicated, the tax pros said. Initially, both versions of the bill would have cut the corporate tax rate from 35 percent to 20 percent, which was later changed to 21 percent in the final bill. However, those savings could be offset for some businesses by changes such as a reduction in the maximum interest deduction for corporate borrowing. Owners of sole proprietorships, partnerships and S corporations – those that pass corporate income, losses, deductions and credits through to their shareholders for tax purposes – would be subject to a top marginal tax rate of 37 percent – lower than the current top rate of 39.6 percent but still much higher than the top corporate tax rate. 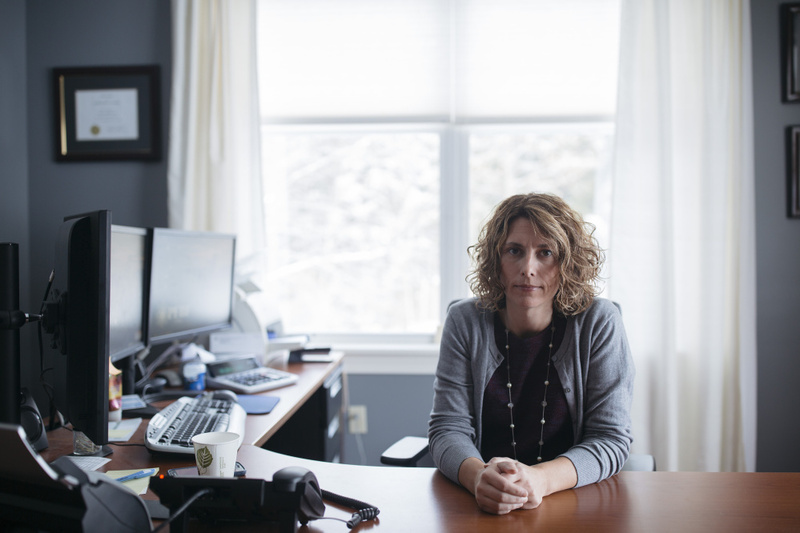 The drastic reduction in corporate tax rates could prompt a mass conversion of Maine businesses from S corporations to more traditionally structured C corporations, said Amanda Rand, incoming president of Portland-based wealth management firm Spinnaker Trust. Bangor-based tax expert Dewey Martin, owner of Martin CPA Group, said becoming a C corporation is a long and complex process, and he agreed that it wouldn’t necessarily make sense for all businesses under the proposed tax code, because C corporations still would have to pay additional payroll and/or dividend taxes on income transferred to shareholders, whereas S corporations would not. Another facet of the tax reform bill is that it places a $10,000 cap on personal deductions for state and local taxes paid. Rand said she is concerned that the change might push some wealthy Mainers to move to a state with lower taxes. “If you can no longer deduct (all of) your state income tax, it becomes harder to justify living somewhere like Maine,” she said. Since 2017 could be the last year that many Mainers itemize deductions on their tax returns, they should complete prior to Jan. 1 all of the tax-deductible financial activity they were planning in the near future, the financial experts said. That includes contractors and other self-employed residents paying their quarterly estimated income tax payments for the fourth quarter, which they normally would do in mid-January. Homeowners also could make their next property tax payment early, they said. In addition, those who were planning to donate to charities next year could make those contributions this year instead, something Martin said he is considering. “I may make my 2018 contributions in 2017,” he said.